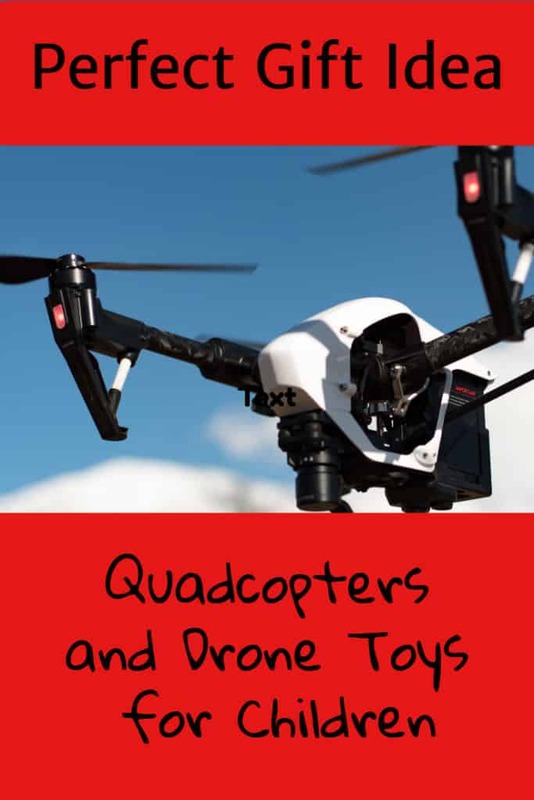 There are plenty of children that will want one of these drone toys this year, either for their birthday or as a Christmas present. Although I’m sure that adults will want to have a go as well! 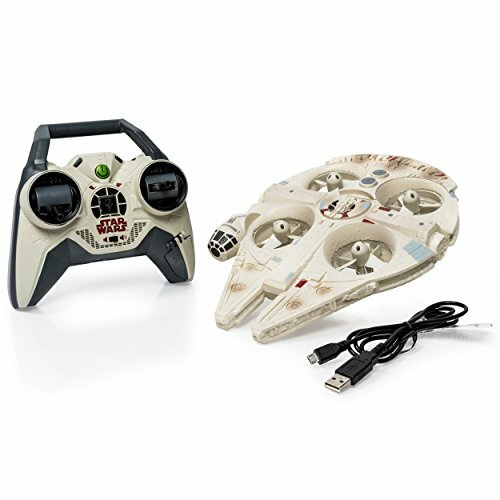 To be honest I would just love to fly the Star Wars Drone! 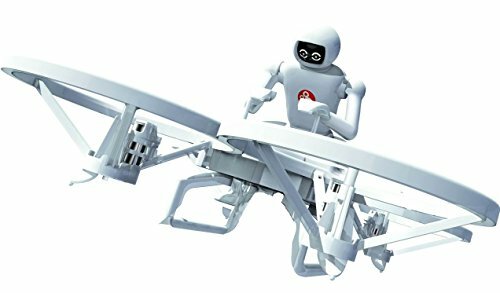 To coincide with the release of Star Trek Beyond and the 50th Anniversary of the original TV Series Air Hogs has launched the first Star Trek Enterprise Flying Drone. The drone is based on the NCC-1701-A which is the Enterprise from the movies rather than TV Show. 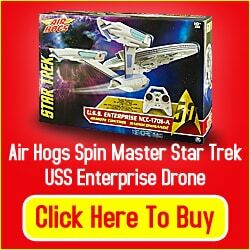 Who Would Buy The Star Trek U.S.S Enterprise Drone? Being the first ever version of the Enterprise that actually flies this will be a must buy for Star Trek fans. Kids who are just starting to discover Star Trek through the new movies might also be interested in this. 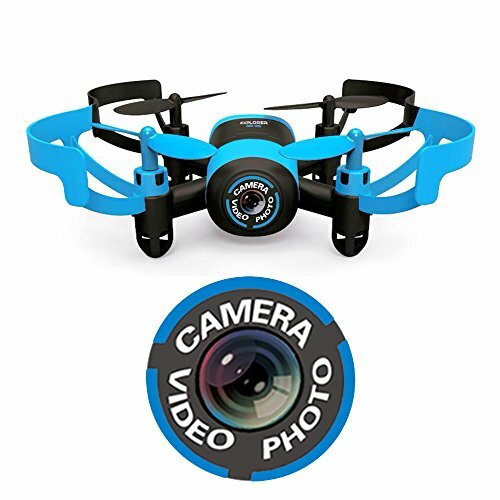 For the serious Drone enthusiast this probably isn’t on their radar though some might be interested in the unique design which differentiates it from the typical drones available on the market. A lot of thought has gone in to this model to make it look authentic it has 10 different Light and sound functions including a phaser and warp factor sound. Even though it is longer and sleeker looking than the usual quadcopter it is still based on the same principles, but to get the Star Trek look they have hidden the spinning propellers in the main saucer section of the Enterprise. Though it doesn’t look particularly durable users are saying that they have crashed it a number of times with no damage. 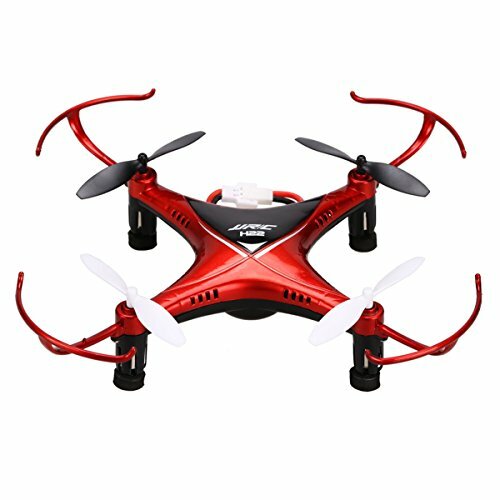 If you haven’t used a quadcopter or drone before it might take some time to get used to the controls and will probably result in a few crashes. We would suggest limiting your flying to indoor use at first before venturing outdoors with it. Some reviewers are speculating that it will become a collector’s item so you might want to keep it in nice condition just in case. Is The Star Trek U.S.S Enterprise Drone Worth The Money? 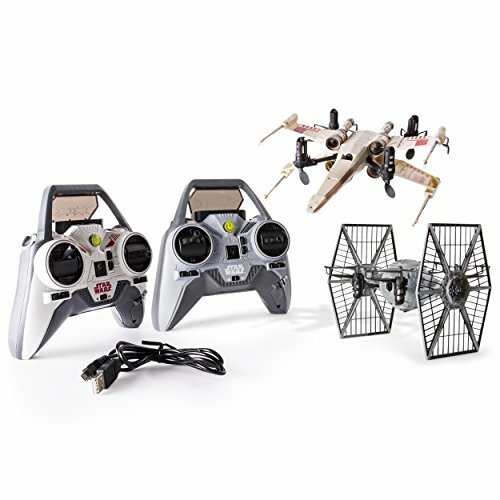 What you are paying for here is the unique Star Trek design and maybe a quadcopter that will become a collector’s item in the future. It also makes a nice display piece. For Star Trek fans or Drone Collectors I don’t see the cost being an issue. 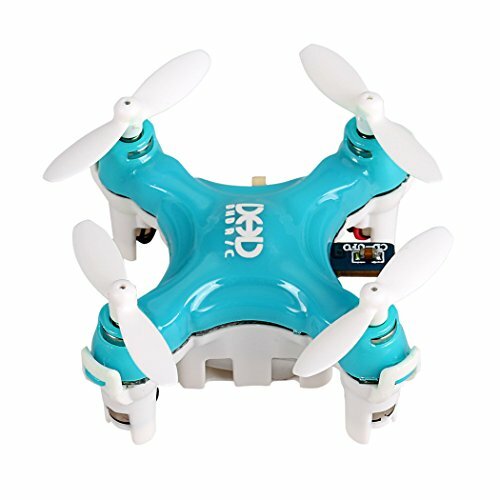 If you are a serious Trekkie the likelihood is that your mind is going to already be made up regarding the purchase of this Star Trek Enterprise Quadcopter. Those interested in TV collectibles might want to speculate and pick this up as a collector’s item. We think that Air Hogs have got the design spot on. To see your own real life miniature version of the Starship U.S.S Enterprise NCC-1701A cruising through the air boldly going where no man has gone before is just amazing!